We find solutions for your skylight and roof windows needs with free on-site visits. Correct installation is essential to ensure that your new skylight will not leak. At Skylight Magic, our installers are trained to the highest standards and bring years of skylights and roof windows installation experience. 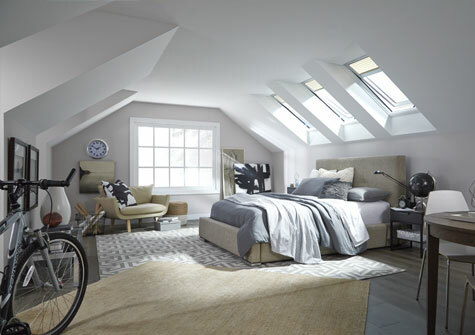 VELUX® skylights do not leak. Proven in installations and climates throughout the world VELUX exclusive flashing systems will keep your dry and performing to its fullest potential. We offer repairs to previously installed skylights and roof windows. We service mainly these areas: Denver, Boulder, Littleton, Broomfield, Lakewood, Centennial, Evergreen, Aurora, Longmont, Castle Rock and Colorado Springs. With our installation, you will receive a five-year leak-proof guarantee & most of our skylights come with 10 years factory warranty. As the world leader in roof windows and skylights, we stand behind our products with a promise of lasting service and quality. That is a promise we have kept for over 50 years, and we are pleased to extend our promise to you. If you think that all skylights leak, it’s time to think again. VELUX® roof windows and skylights do not leak. Proven in installations and climates throughout the world, our exclusive flashing systems will keep you dry and comfortable. We believe the best guarantee is the one you never have to use, therefore, we build quality into every product. We do offer the VELUX 20/10/5 years limited product warranty for specific product coverage issues. If you have concerns about your VELUX products that may require a warranty claim, the warranty brochure includes specific steps for you to follow that will help VELUX better assist you.